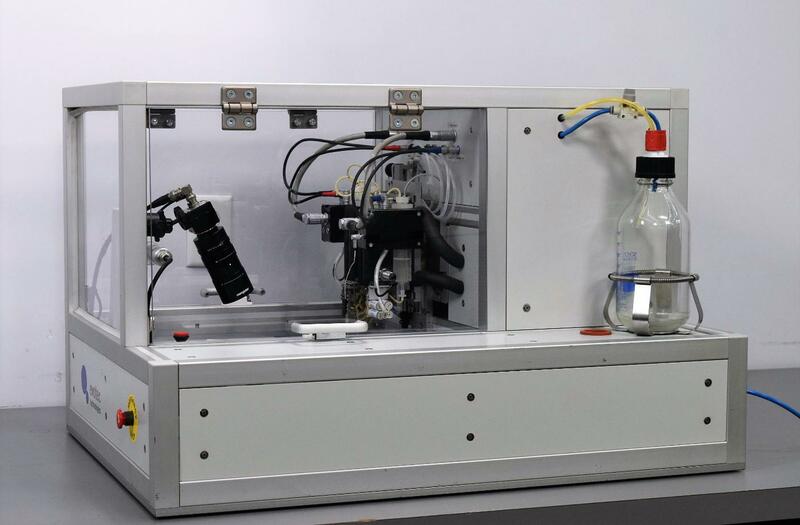 Evotec DINA Bench-Top Assay Intergrated Drug Discovery Development Station . New Life Scientific, Inc. This unit takes a special power cord which did not and does not come with this unit. It is therefore untested but appears to be in very good cosmetic condition. This instrument is sold for parts and will not include a warranty.